Anyone experience Devore Fidelity Gibbon 8? I have never heard of them but they do look interesting. I am going to listen to them this weekend... I’ll let you know how they sound. I've heard really good things about the Devore line. That seems like a pretty good price as well. I'm looking forward to your impressions. Ran into a snag over the weekend - going tonight after work to listen. DeVore is a highly respected/reviewed company; unfortunately I've never heard any, or even knew anyone that had a set. I’ve been grappling with how to put into words my impressions of the speakers since listening to them. This experience has actually raised larger questions in my mind, as to how we communicate the experience of sound in a verbal format - IE, tell me what the color red looks like. Anyway, on to the speakers. In short, they sounded Very good. I had my normal test tracks along, and all the various and particular subtleties I’ve come to expect from them were present on the Gibons. What wasn’t present was any kind of magic. If I had to come up with a single word, I’d say they sounded “sterile”. 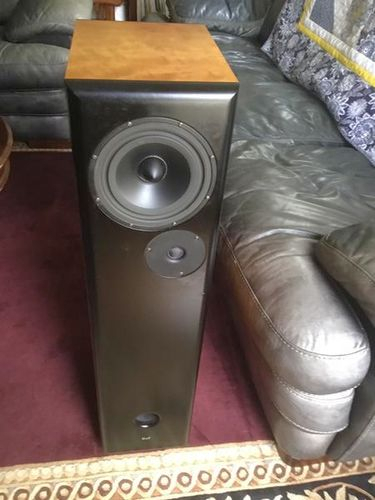 Certainly not a pair of speakers I’d pay $1,200 for. At any rate, I had a nice conversation with the seller, and don’t regret the trip in the slightest. What was the associated gear? McIntosh 275, Prima Luna pre, and a Yamaha S700 disc player. He had a TT (Technics), but I declined a vinyl audition, as that’s not my preferred media. I’m not sure on cables - looked like AQ variety.